Keep your nails looking their best with our popular nail balm set. Our customers asked for a travel tube and it’s here for you! Keep the jar at home for use in the morning and again before bedtime, keep the travel tube in your purse for touch ups on the road! 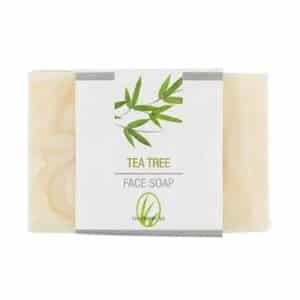 Special blend of 95% organic oils and 100% nut-free ingredients. 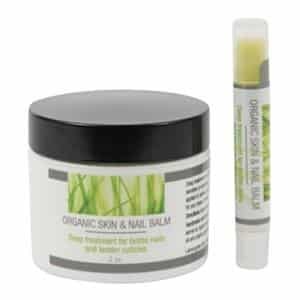 Olive, avocado, apricot kernel and horsetail oil (plant-based) prevents splitting nails and unsightly cuticles. 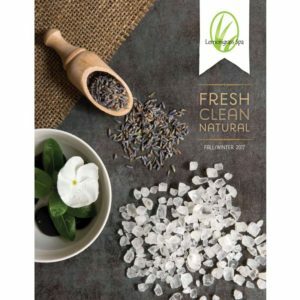 Use twice daily for noticeably healthy nails. Sold in sets only, which include a 2 oz. jar and .75 oz. tube. 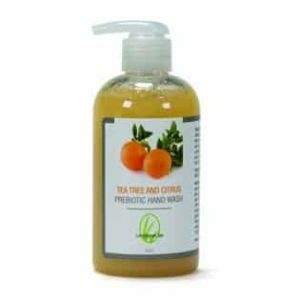 Ingredients:Organic olive oil, organic apricot kernel oil, organic avocado oil, organic beeswax, horsetail oil, vitamin E oil and organic grapefruit seed extract. 95% organic.